Job opportunities bring expats to Quebec City. According to Quebec International Economic Development Agency, Quebec City's key industries include ICT and electronics, life sciences, insurance and financial services, food and nutrition, green and smart building, and value-added materials and transportation equipment. 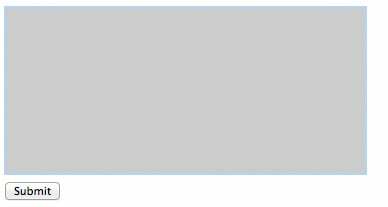 Rents are pretty reasonable in Quebec City. A two bedroom, modern apartment in a building with a pool and other amenities located a short drive from St. Vincent elementary school and St. Patrick's high school costs approximately $1,500 ca per month. A modern, one bedroom, one bathroom condo in Limoilou is currently listed for $250,000 ca. Voice of English-Speaking Quebec is for newcomers and any expats living in Quebec. They host a variety of events for expats of all ages. On the current calendar, you'll find everything from a breastfeeding get-together to a summer reading club for children to seniors out-and-about events. Appeal Quebec is a group that hosts activities for French and English speakers with the goal of giving French speakers the opportunity to practice their English. 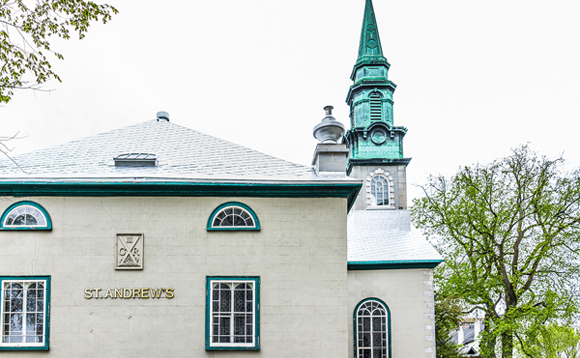 St. Andrew's Presbyterian Church on Rue Cook has Sunday services at 11, but also hosts a book club, study group and an art group. Evangel Pentecostal Church Quebec has members from 15 countries and has services each week at Quebec High School. Chalmers Wesley, United Church of Canada is located at 78 Rue Sainte-Ursule in the old city. Quebec Baptist Church is another option. Congregation Beth Israel Ohev Sholem is located at 1251 Avenue de Merici. 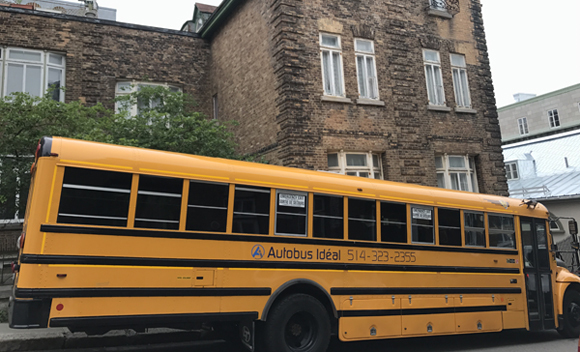 There are currently three English-speaking public schools in Central Quebec: St. Vincent Elementary School in the Sainte-Foy neighborhood, Quebec High School on Avenue Belvedere and St. Patrick's High School on MacMahon Street opposite the old Saint Patrick's church. A new English-speaking elementary school in Levis is in the planning stages. Le March du Vieux Port is a sprawling public market located at 160 quai St-Andre in the Old Port. It's a fun place to shop for meats, cheeses, bread, pastries, fresh fruits and vegetables directly from local sellers. Depending upon where you live, there are small, neighborhood markets and larger grocery stores like L'intermarche, Maxi and Metro Plus. There are 3 Costco stores in the Quebec City area: Costco Sainte-Foy, Costco on Rue Bouvier and Levis. Many expats and locals ride bikes throughout the city. Bike paths are well marked and available throughout the city. As a pedestrian, be sure to keep an eye out for the bike lanes that run along sidewalks. Teach your kids to check for them as well, because we had a number of close calls while visiting the city as we weren't used to having bike lanes in the sidewalk area. 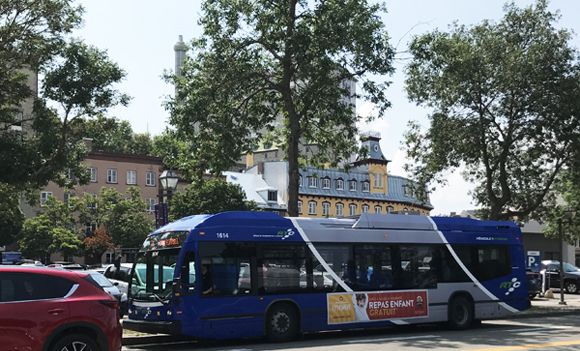 The Reseau de transport de la capitale (RTC) bus system provides transportation within Quebec City (Route Map). The Quebec City-Levis Ferry operates year round between Levis and the old city. The ride takes 12 minutes and is used by many expats and locals to commute to work. Bikes are welcome on board. The best way to get a taxi is at a taxi stand or to call and order a taxi. Taxis Coop Quebec +1 418-525-5191, Taxi Coop Ste-Foy Sillery +1 418-653-7777 and Taxi Laurier +1 418-651-2727. In Levis, Taxi Levis +1 418-833-9000 and Taxi 4000+1 418-833-4000. Winters in Quebec City are not for the faint of heart. The highs in December, January and February are in the mid 20s - with lows in the single digits. Hopefully you'll find that the locals' love of winter sports infectious and skating, hockey, sledding and skiing will get you through the winter months. June through September are beautiful months where colorful window boxes dot the city streets, locals congregate at outdoor cafes, festivals abound and tourists flock to the city. Quebec City has a lively restaurant and bar scene. Old Quebec is the most touristy area with more restaurants and bars than one can count. Toast, La Planque and Lapin Saute are a few notable restaurants. We have a few people in our family who have to eat gluten free. 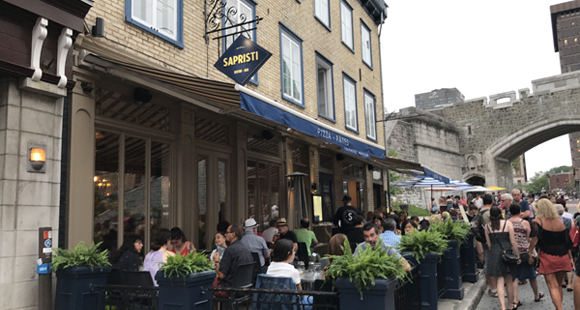 Our go-to list of gluten free restaurants in Quebec City includes Bistro Le Veravin (most gluten free options including crepes), Sapristi, Les Trois Garcons, Le Chic Shack and Cafe du Monde. Public healthcare in Canada is only available to permanent residents. If you are not a permanent resident, you will need to obtain private health insurance. There are a number of well respected hospitals in Quebec City: L'Hotel-Dieu de Quebec et CRCEO in Old Quebec is a teaching hospital affiliated with University Laval's medical school (oncology, nephrology), CHUL et Centre mere-enfant Soleil (mother-child institute) is in Ste-Foy, Hopital de l'Enfant-Jesus (trauma care, burn care, blood disease and neuroscience), Hopital du Saint-Sacrement (ophthalmology, breast cancer) and Hopital Saint-Francois d'Assise (vascular diseases, obstetrics). Expats living in Canada interested in expat health insurance should take a minute to get a quote from our trusted expat health insurance partner, CIGNA. 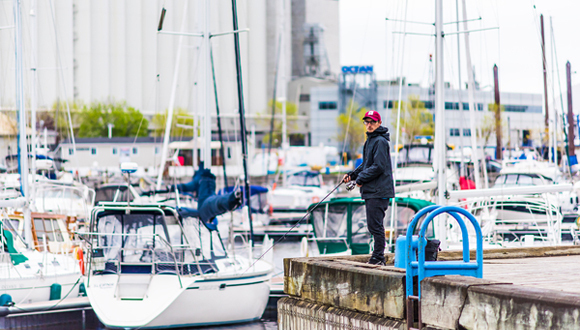 Paddle boarding, kayaking, fishing, boating and other water activities are popular on the St. Lawrence River and many local lakes. Baie de Beauport is a beach is nearby Beauport that has summer day camps, food trucks, yoga and more. There are several golf courses located within a half hour of Quebec City. Tennis players can play at Tennis Montcalm (tennis & squash), Tennis Victoria and several other tennis clubs. Quebec Yacht Club is located at 1225 Boulevard Champlain and offers a few membership options, summer camps, a pool and a restaurant. There are a number of public pools in Quebec City. Indoor pools include Piscine Lucien Borne, Ferland Community Center, Piscine Wilfrid-Hamel. Outdoor pools include Piscine Notre-Dame-de-la-Garde, Piscine du parc du Musee and Marina Saint-Roch. Locals embrace winter. Carnaval de Quebec (aka Winter Carnival) is a long-running carnival that starts in late January or early February and lasts about 10 days. Au 1884 is a toboggan slide situated on the Dufferin Terrace next to the Chateau Frontenac that is open all winter. There are skating rinks at Place d'Youville, Plains of Abraham and a number of other locations. 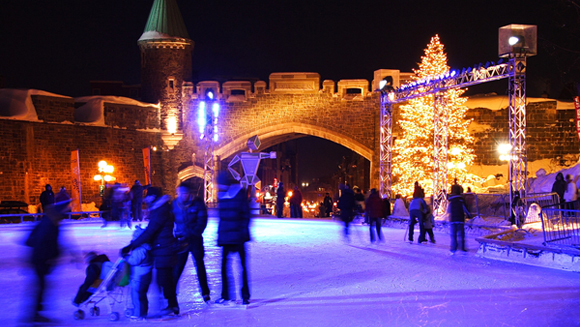 Ice hockey, figure skating, downhill and cross-country skiing, snowboarding, sledding, ice fishing and snow shoeing are all very popular in the Quebec City area. According to US Overseas Security Advisory Council, "In general, street crime throughout Canada can best be categorized as below or at U.S. levels for comparable metropolitan areas. That being said, Quebec City has one of the lowest crime rates of any city the province of Quebec. There is no evidence to suggest that Americans are specifically targeted for any criminal activity in Quebec City." Moving to Canada soon? Crown Relocations owns and operates over 207 facilities in almost 54 countries. Their global network means they're unique in the relocations business and they're able to use Crown crews and vehicles wherever possible. Get a quote online by May 25, 2019 and you'll be entered to win 1 of 5 Amazon $250* gift cards.